Description This is an enhanced print from the glass plate negative. Photo taken by Will Bickner. 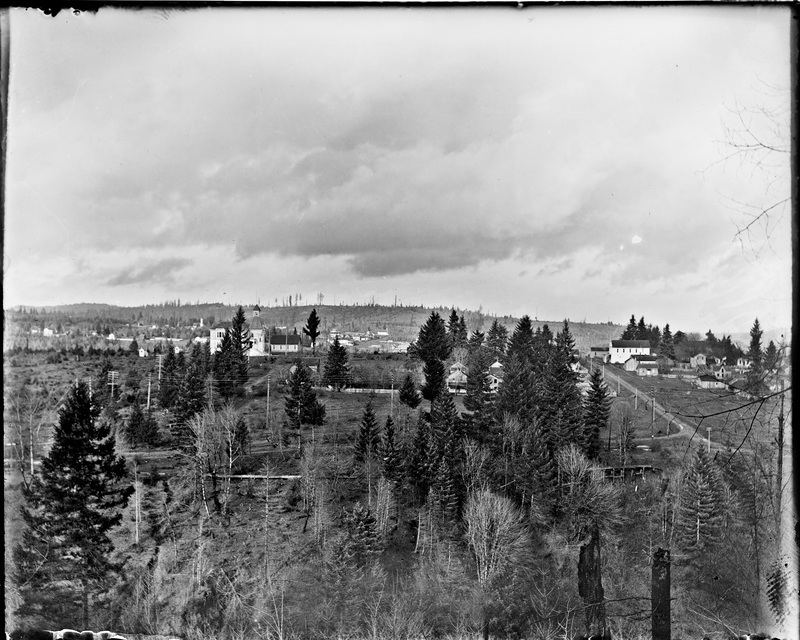 Written on the negative sleeve: Old Town; across canion [sic]; elec. 1 m + 1 m; box 1. 4 from dry plates box A.